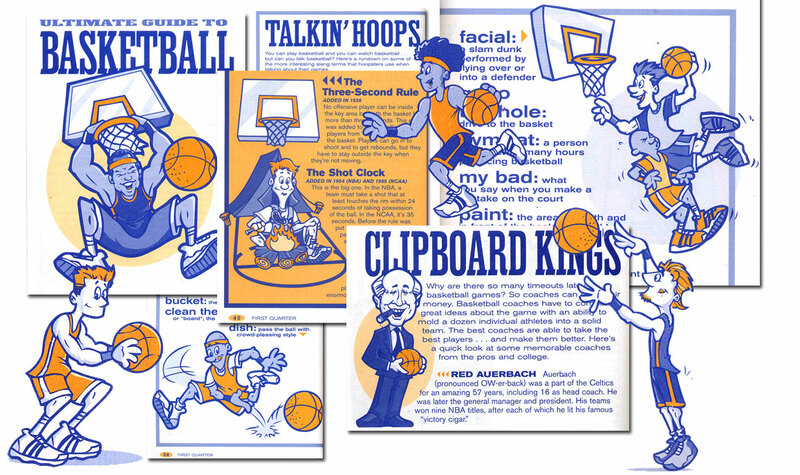 Here’s a fun project I worked on for Beach Ball Books called the Ultimate Guide to Basketball written by James Buckley Jr. full of basketball facts, stats and lots of information about today’s star players as well as the history of the game. 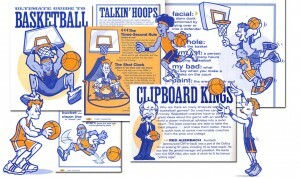 This entry was posted in Illustration and tagged basketball cartoon, Beach Ball Books, cartoon illustration, Scholastic. Bookmark the permalink.